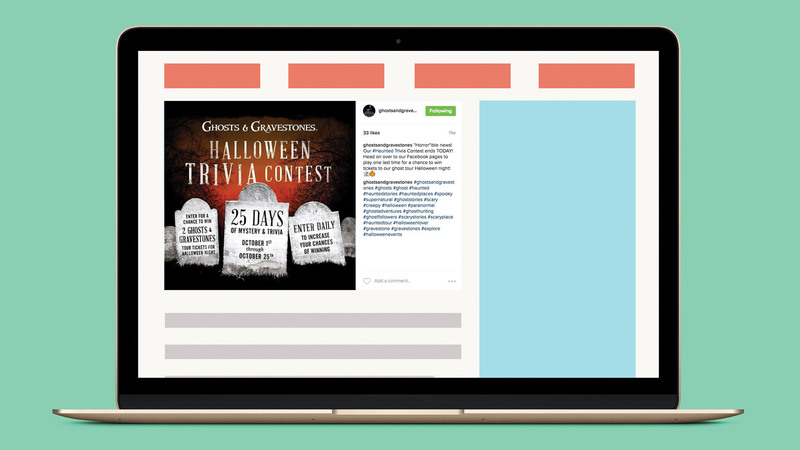 In a day and age where online messages are almost immediately buried in competing posts, Ghosts & Gravestones hoped to leverage their busiest time of year to interact with their followers and bring attention to their brand in each of their five cities – Boston, Key West, San Diego, Savannah, and St. Augustine. With a very limited budget to work with, our goal at BlackDog was to create a new and exciting way to engage with digital consumers, a goal that was accomplished through the establishment of a strong (and spook-tacular) social media presence. Social media, if not done correctly, can be a nightmare. Too many posts and advertisements fail to truly captivate an audience, and when that happens, potential customers are lost forever. So we decided to do something different, something we knew our spirit-hunting, orb-following fans would love. We decided to implement an organic strategy filled with lots of Halloween fun and to do that, we dared our followers to test their knowledge of all things haunted. 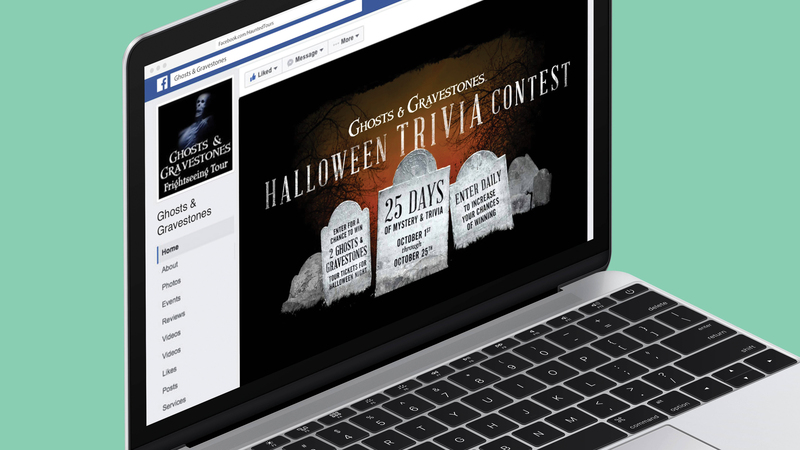 We dug up some spine-tingling ghost questions and over the course of 25 days, we successfully executed a series of haunted trivia contests on Facebook, one for each of the ghost tour company’s five cities. 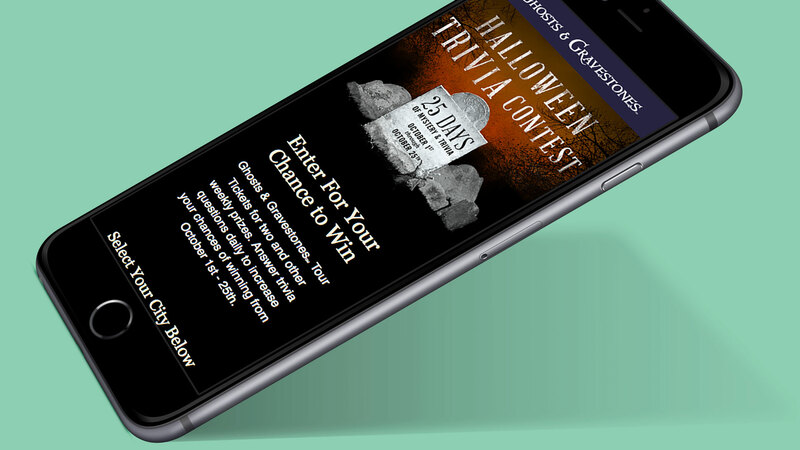 Fully integrated into the social media platform via Facebook’s apps tab, the contest invited followers to answer one haunted trivia question per day, for a chance at winning two ghost tour tickets to be used on Halloween night. Upon answering the questions, participants received real-time feedback letting them know whether or not their answers were correct. They were reminded to return the following day for their next question and were also encouraged to share the contest with their “ghosties” – aka, besties. 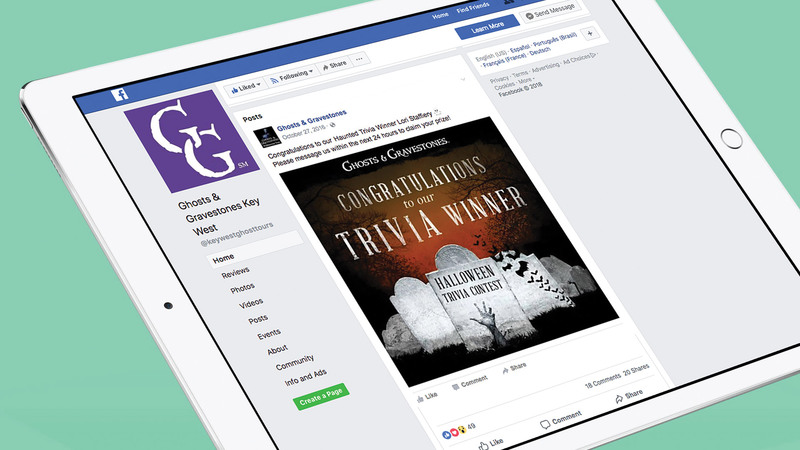 Turns out, their followers were DYING to play, as the trivia contest produced a reach of 160,000 views throughout its duration and the overall engagement rate was 100% higher than previous Halloween Facebook campaigns.